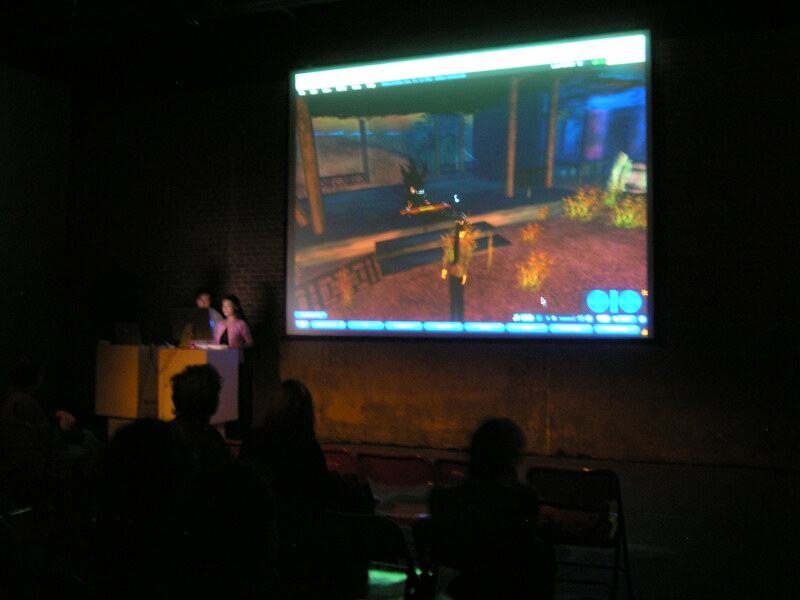 Second Life Performance Night :: October 9, 2009; 6:30 – 8:30 pm :: Eyebeam, 540 W. 21st St., NYC. 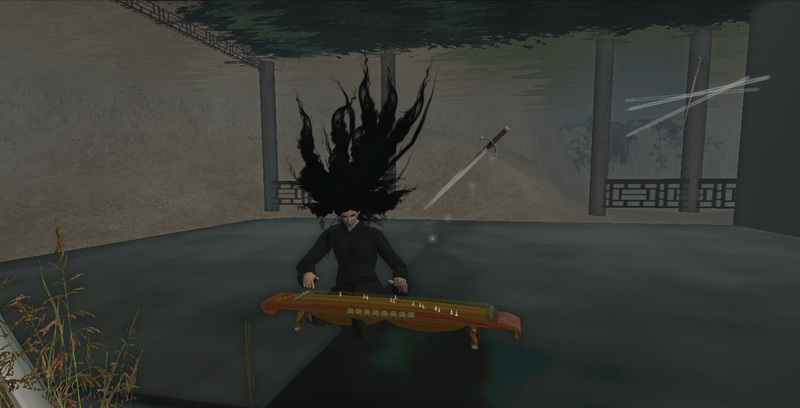 This evening will feature three different artists/groups (including Eyebeam resident Scott Kidall), which use the online virtual world of Second Life as a medium for performance art. Alan Sondheim will present a performance using the aesthetics of the Second Life environment to create an experimental choreography; Lily & Honglei will present The Merry-go-around, a virtual installation addressing a series of environmental issues in today’s China; and Second Front has discovered a virtual crypt within Second Life and are inviting the public to witness its opening. Our gratitude to all performance participants!! Our works addresses a series of on-going socio-cultural issues in China, particularly those caused by globalization and social transformation. The online muti-user virtual environment in Second Life allows us to visualize those issues and share our point of view with a large audience through internet, also it creates a lot of opportunities for collaborations with artists from different cultural backgrounds through real-time interaction online. Following, we’d like to share with you our virtual installations and online performances in SL. students died in the devastating disaster. In fact, research and investigation indicate this tragedy is not a merely natural disaster – the poorly constructed school buildings have contributed to student death as a major factor. You can see the background image reveals the collapsed schools. Chinese netizens call them “tofu-dregs schoolhouses”, to mock both the quality and the quantity of these inferior constructions that killed so many school children. This a terribile consequence of local corruptions. Besides, experts argue the nearby hydropower dams might have triggered the earthquake. Since these inquiries are considered “politically sensitive,” the student’s death in Sichuan earthquake has become a taboo subject in Chinese media recently. We think it’s important to make artwork reflecting on the historical tragedy, and share our memory with others through Internet, so we build this piece in Second Life. You can see in the foreground, the students wearing red scarf, in typical school uniform are riding merry-go-around, in fact, they’re victims lost their lives in the earthquake. The background with school rubbles is composed with Honglei’s oil paintings based on pictures of the earthquake ruins. Ironically, if you look at the space from outside, you’ll see a structure with totally different appearance, which mimics 2008 Beijing Olympic swimming pool, called water cube. The spectacular surface works as a disguise covering huge internal problems. 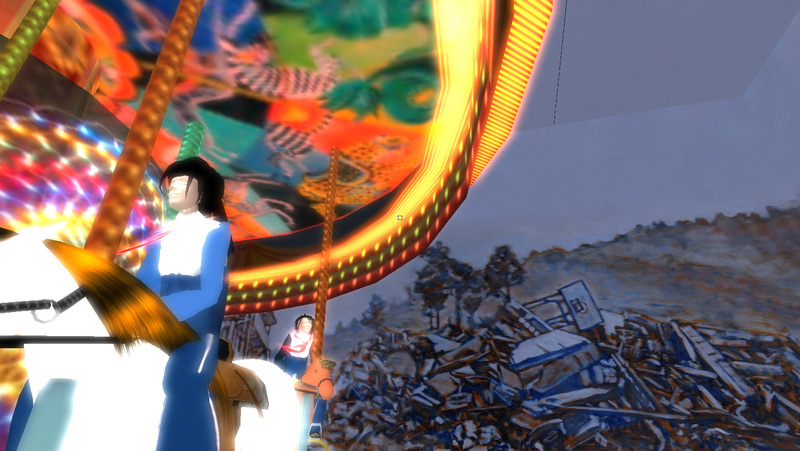 Now we’re leaving the merry go around and visiting other spots following our avatar. Stepping down the ladder, we’re on the great wall. we built the great wall on fire to mock the Great Fire Wall of China, the notorious Internet censorship. 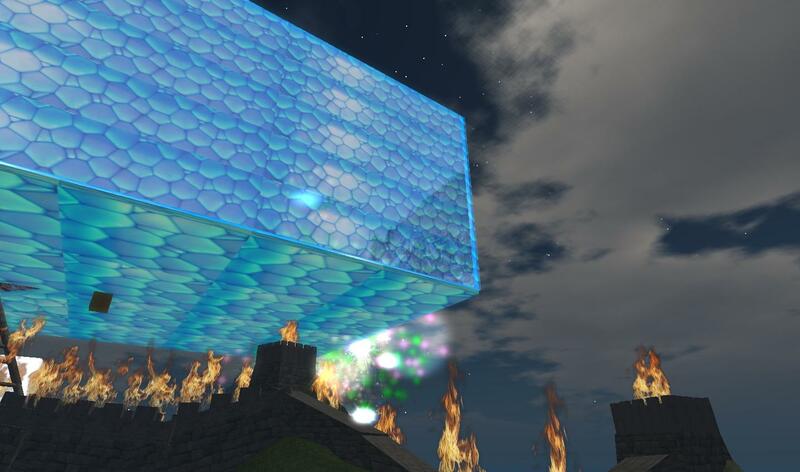 Using a device called ‘teleporter’, our avatar is transporting to another spot, Underwater City. The virtual construction of Underwater City is a recreation of a historical site in Three Gorges Dam. A little bit background about the this – It becomes flooded as a result of development of Three Gorges Dam hydro-power project, which is the world’s largest hydro-power station and most controversial dam, because it results 1.2 million people displaced, many historical sites flooded or entirely submerged in Yangtze river. Since Three Gorges area is central in Chinese culture and history, the loss of cultural heritage is inestimable. Here, we look around and see several ancient Chinese characters performing here, they are actually played by our team members. Designs of these characters are inspired by Chinese folk stories and historic legends. Those individuals are very significant in terms of cultural spirit. We don’t have time to tell each individual story, but overall these characters represent individualism in Chinese culture. Their performances in underwater city convey a message about loss of cultural identity during process of development and globalization. It’s worth to mention our team members conducting the performance are not only from eastern cultural background, in fact, they are from US, Australia, UK.etc. Their engagement with reinterpretation of Chinese culture have brought the dialog between east and west to a new level. Now, we’re leaving the ghostly place, and get ready for the last part of the performance – the fireworks – just mimic the routine of major celebrations in China. 1. Speaking of artistic practice in Second Life, I think it’s important to highlight the characteristics of this type of art. As Second Life art is based on the Internet, it shares the same natures of Internet art – it’s highly accessible, one can experience SL art from computers with broadband connection; it allows real-time interaction between artworks and audience; it creates a lot opportunities for artist collaborations. We have been working in painting, installation and video for years, never seriously considered collaborating with others until we started working in Second Life. This because the nature of virtual world art demands you work together with people to carry out certain tasks. Compared with other media, virtual world art has reached a new level in term of interactions, either between artists or with audience. 2. 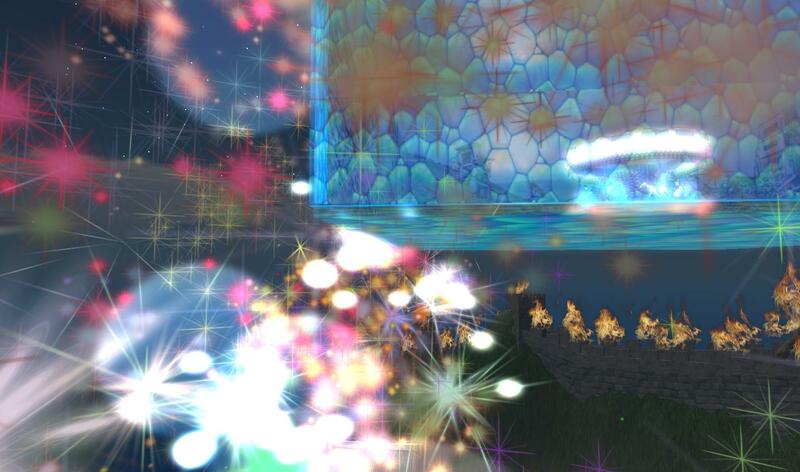 Virtual world art becomes a solution for nostalgia, diaspora. As we have left China for years, and the conditions don’t allow us to going back quite often. We found it’s necessary to use art to deal with this kind of cultural displacement, to reconnect with our cultural origin. In 2007, we began to build a Chinese garden in Second Life, which was quite similar to our living environment in Beijing. Then we met some new friends in Second Life and invited them to visit the garden. We had quite inspirational conversations and discussions in the virtual space, and started planning a series of performance reinterpreting Chinese folkloric traditions. Those activities effectively reconnect ourselves with Chinese culture. The virtual garden became another home in where we can visually and mentally immerse in it, meditate and develop new perspectives regarding cultural traditions and current society. In this sense, the virtual world art helps to overcome geographic barriers, and therefore we can reach a more integral life. 3. Second Life is good art recreating real social, cultural or environmental situations, so that arouse further intellectual inquires on these issues. In the multi-user virtual environment, the virtual architectures and performance work together to enable the non-linear narrative, which may comprehensively uncover the meanings of certain social situations and their relationships.